The Wilmington Chamber of Commerce will host a ribbon cutting ceremony for The Pointe at Barclay located at 1450 Barclay Pointe Blvd Wilmington, NC 28412 on Sunday November 11, 2018 at 1:30pm. The Pointe at Barclay is Wilmington’s newest premier destination entertainment center. Our community features a vibrant mix of local restaurants, service, and entertainment options. Grab a bite to eat with friends, catch a movie, meet up coworkers, and move into a cozy living space – all at The Pointe. 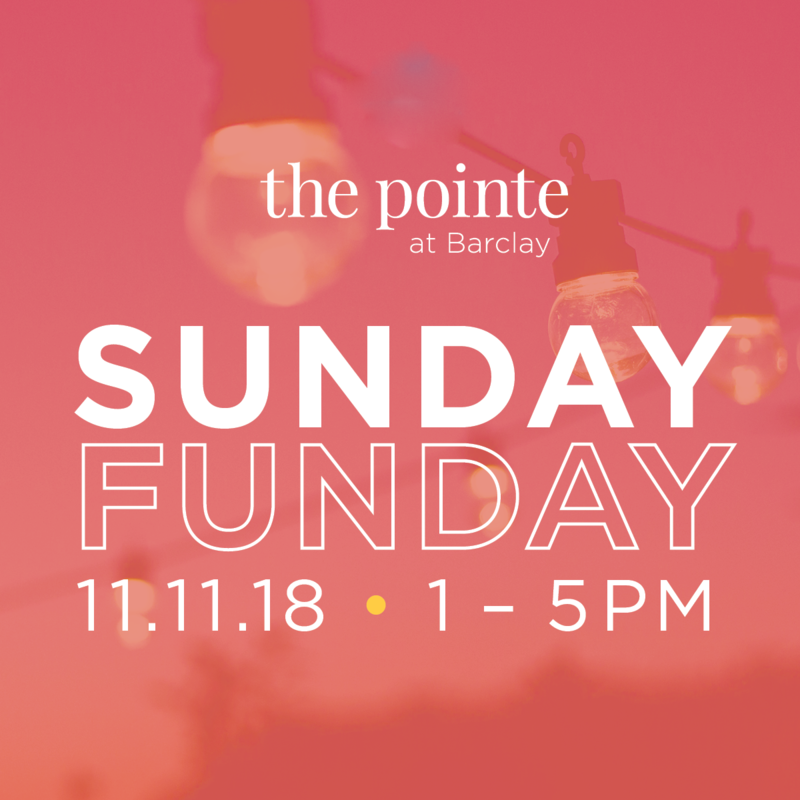 Our Free Sunday Funday Grand Opening event from 1:00 – 5:00pm is much more than just our chance to welcome you to The Pointe to experience all it has to offer, it’s a celebration! The Pointe at Barclay has partnered with The Eastern Carolinas Muscular Dystrophy Association for this community-centric and family friendly event with a live band and kid friendly activities and carnival games. The Pointe at Barclay wants to help raise awareness and needed funds for local families that have a loved one living with muscular dystrophy. The proceeds raised at this event, through purchases at restaurants and retailers, will support MDA’s Clinic and their annual MDA Summer Camp program for special needs children. The Eastern Carolinas MDA is excited and grateful to be partnering with The Pointe retailers and restaurants for Sunday Funday. The Eastern Carolinas Muscular Dystrophy Association is leading the fight to free individuals in our local community — and the families who love them — from the harm of muscular dystrophy, ALS and related muscle-debilitating diseases that take away physical strength, independence and life. We use our collective strength to help kids and adults in New Hanover County live longer and grow stronger by funding research breakthroughs across diseases; caring for individuals from day one at our MDA Clinics; and empowering families with services and support in Wilmington and the surrounding areas. Get more information and view the Facebook event here.